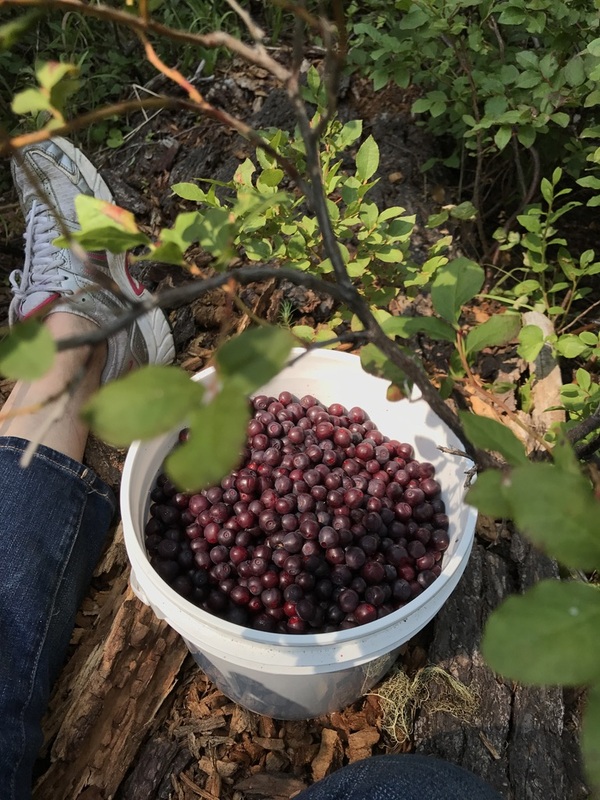 Hubby Boots made a scouting trip several weeks ago up to the mountains beyond Union Creek, Oregon and confirmed the rumors: this is an epic year for huckleberries. Normally reserved, Boots returned with a glowing description of the bounty, “Babe, there’s a lot of huckleberries this year." So we made plans. A new tent and queen-size air mattress were purchased, the big cooler hauled down from the garage rafters, propane burner, shovel, ax, cast iron skillet, bedding and sundry other necessaries gathered up from the corners of… everywhere. All in preparation for an overnight camping trip. And don’t forget the berry buckets. Packing the Jeep required the strategy of mastering a Rubik’s cube puzzle, but Boots did so competently and we arrived at our campsite in the early afternoon with our stomachs full of Carl’s Jr.
“Well, fine. 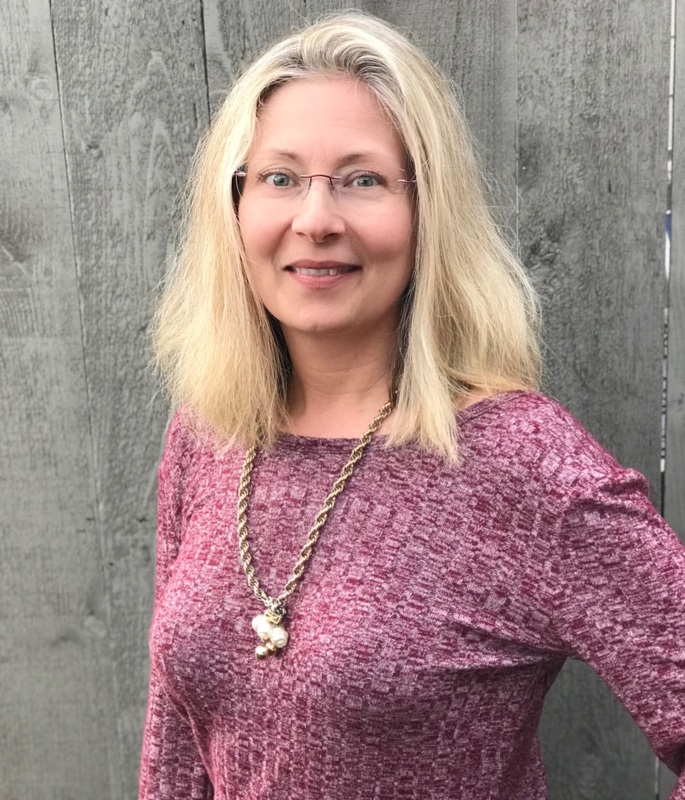 I’ll get to picking then.” She brandished her berry basket, a rusty coffee can, and followed me into the patch; squatty camp chair on her arm, dog trailing along on a leash. As I dropped huckleberries into my berry basket, a nice, clean, one gallon coconut oil bucket, she stayed within 4-6 feet of me. At one point, trying to be friendly, I asked if her dog liked huckleberries. “Grapes is poison to dogs.” she replied, shortly. Once again, I had school my eyebrows to stay in place. “Huckleberries and grapes… are… not related,” I finally managed to say. While Boots readied our campsite, even inflating our air mattress with a small accordion-style hand pump, I plucked huckleberries into my pail and the woman scooted her camp chair behind me from bush to bush. At some point before dusk I learned she planned to make huckleberry jam, and she disappeared. Over the 2 days we spent in the mountains we picked 4 gallons of these precious-as-gold berries. We enjoyed conversation, cuddles, and a starry view from inside our new tent. In the morning there were huckleberry pancakes cooked in a cast iron skillet. There were concerns about bow hunters, bears and bathrooms. None of which materialized. Epic year indeed.